During the summer leading up to my 500-hour training, I spent a lot of time at the Dharma Yoga Center. I was living on the Upper West Side, and finding that the only way I really wanted to spend my time was taking class – being around Sri Dharma Mittra as much as possible. In that time of my life, the devotion that blossomed within me was unprecedented; although I had done my 200-hour training about one year prior, I had never felt this level of unconditional love for a teacher before. 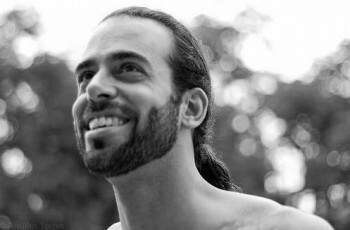 Dharmaji awakened many other aspects of my human self that were previously hidden or diminished in their expression, and as my 500-hour training approached, I knew I was ready for the level of growth and transformation that awaited me – I craved the intensity of sadhana that was being offered through this program, and I couldn’t wait to start. Now that I am teaching almost full-time, people ask me often about my experiences in teacher training, and I almost always tell them that the trainings I have done were, without a doubt, the best investments I ever made in myself – the seeds that were planted during the immersions continue to bear fruit even today, almost three years after the completion of my 500-hour. All these questions and comments come to me with such pure love and joyful curiosity, from enthusiastic students and fellow teachers in my community; these reflections from others have brought me to very deep levels of self-inquiry – both getting clear within myself about my intentions for this training, and also realizing that there is, in reality, no way to prepare for the immensity of what lies ahead. Now I’m here, about to begin, and it’s still true – in so many ways, I am not ever going to be ready. To have the honor and privilege to learn such high-level, subtle practices, and be given the tools to teach these processes to others – it’s almost unbelievable, and to even think of the possibility humbles me. -Renounce the fruits of your actions (and any expectations). -Abide in this eternal present. -Be receptive, to the infinite Grace of G-d. Ten days later I was in NY getting my head shaved as part of a ceremony one of my friends hosted for my transformation. Diana was a yogini in service to her guru for 30 years. She took me in to her home to show me what life was like for her as a yogini in service. We sat in her home temple as she showed me publications and trainings she had written and marketed in service to help her teacher and to spread the teachings globally. I am a trained businessperson and I remember asking her, “So you got paid nothing for all of this? ” I was shocked because 30 years is a long time. I was listening, perhaps for the first time, to someone who was in service and seeing the beauty that was created. The next afternoon with a better understanding of what a life of yogini could look like, I took a train back to the city to get situated and learn from Sri Dharma Mittra during Life Of A Yogi Teacher Training. I remember when we got our karma yoga jobs. Mine was lighting the candles and the incense and I loved doing this as an offering. I continue to do this at home alongside the picture of Sri Dharma given at the training. 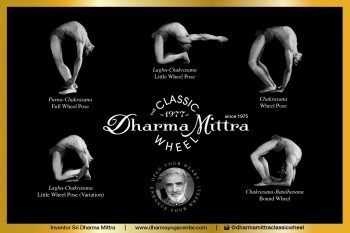 The first time I saw a picture of Sri Dharma Mittra, I remember saying, “He’s the guy. He’s the guy with the silver hair I have been looking for since I was a teenager.” I was excited to see what exactly it was that I was to learn. The words continue to ring in my head, especially during times when I see my ego getting excited about things. I step back and hear Sri Dharma. The Life Of A Yogi Teacher Training has changed my relationship with yoga – changed my relationship with my spiritual teacher, and changed my relationship with my community. When I do my asana practice or pranayama, I close my eyes and feel that I am back in the temple in NYC where Sri Dharma is the teacher. And when I am in service to my guru, I picture how I think Sri Dharma Mittra was in service to Yogi Gupta while he was alive in physical form — as if a roadmap had been laid before me to show me the way to humbleness and selflessness. It has been almost one year since the training and my life is completely different. 1. Cultivate an open mind regarding the Supreme Self or God. 2. Be kind and non-judgmental in all circumstances, especially when dealing with students (or students of my teacher,) and abstain always from acts of arrogance, cruelty, greed, or harshness. 3. Work constantly toward the freedom from “I” and “mine,” growing ever less concerned with name, fame, prestige or personal property. I have built a retreat house for the local community and for the regular students of my teacher to come and study. My primary role at the retreat house starts with preparing juices and snacks for the students who come to stay and coordinating their stay. 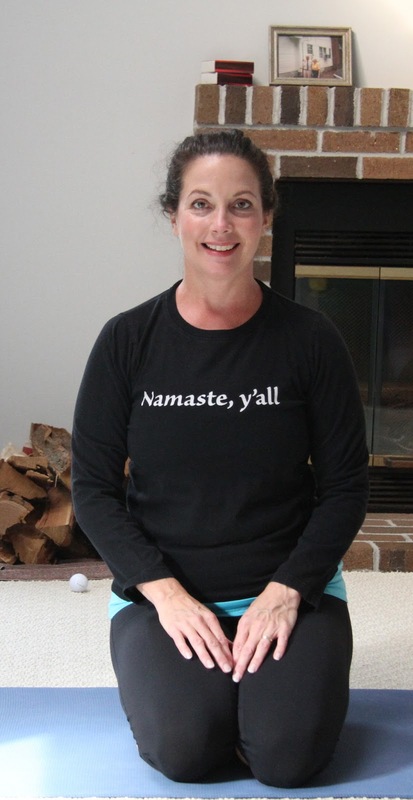 My primary role in the local community is to share my daily Dharma yoga practice. It is intended for people who want to cultivate a home practice, but may not want to practice alone. I am most at peace in the retreat house, which feels like the temple in NYC. I am most joyful being in service in this manner. I am in service to God; I can think of no greater gift. I remember crying at the realization of how my life has changed. How I built this center years ago and it has waited until I was ready to be of service. Until I really understood this is not about me. This is something far greater than I can imagine, something my head cannot understand. I also have learned there is no negotiating with God. The one attempting negotiation is my ego –the one who is trying not to see my path and the one trying to make it unfold in the way that I want. But in the end, God has some big boots and will use them when needed. I have been negotiating this move to live full time in the retreat center for one year. Many things are changing, affording space to unfold. And in my moment of surrender, the retreat center had its first student call to book a private immersion. Learning to be of service. Learning to fall in to nothingness. Realizing that everyone is on his or her own path. And who am I to judge or question? I am no one. 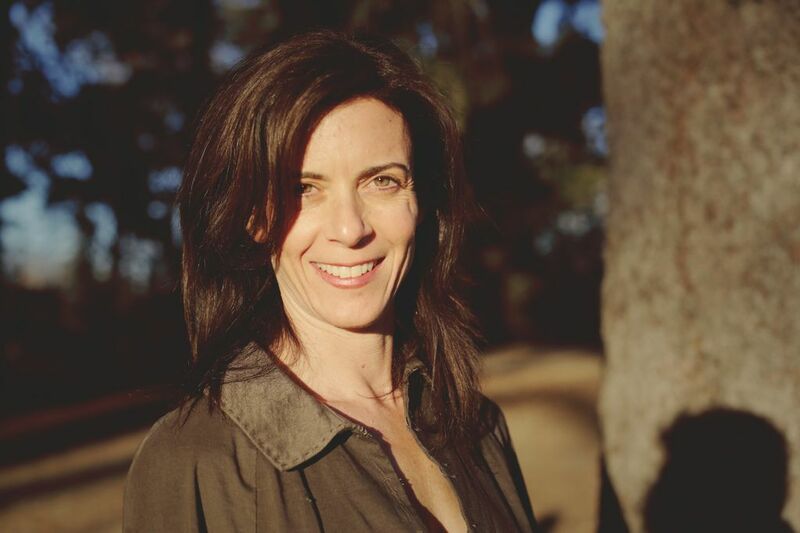 Julie Bach is on a mission to authentically integrate yoga and meditation through the spa industry. As a child, Julie was not quite aware of what she was doing as she used to “knee” around the house and quietly sink to the bottom of the pool in full lotus. And when she grew out of her childhood years, Julie had a certain restlessness to her. It was not until 2010 when she connected with her spiritual teacher, Felix Lopez, did she begin to understand this restlessness and the calming effects of yoga. 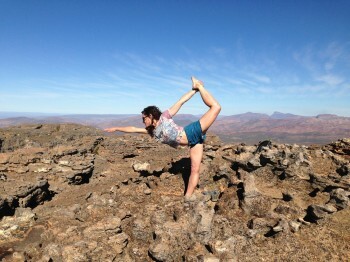 Julie worked with her spiritual teacher to prepare her for the 200 hour Life of A Yogi Training with Sri Dharma Mittra. Since her first step in to the temple, she knew she was home with Dharmaji and has established a center to share this feeling with her family and her community. 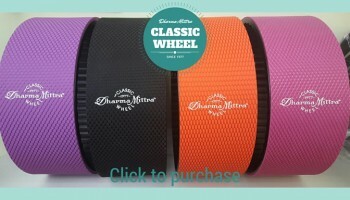 Sri Dharma Mittra speaks highly of Karma Yoga, doing work for others without any expectation of results. He’s well known for being a karma yogi for his guru and still practices what he preaches. Within minutes of teaching at The Kripalu Center, Sri Dharma spent time neatly arranging everyone’s shoes outside of the workshop, recalled Dharma Yoga teacher Lorie Bebber. “He’s just this incredible reminder of what it is to see God in everyone and everything – to see that we are all one,” she said. 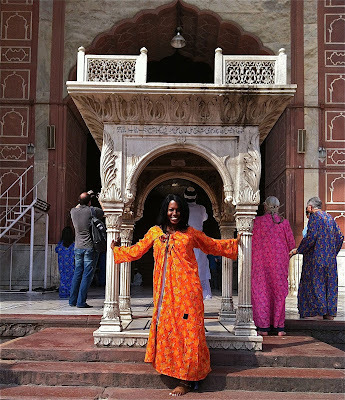 Lorie became initiated as a disciple of Sri Dharma in 2010 and was given the name Saraswati Om. She was looking for a guru to help guide her and when she met Sri Dharma five years earlier, she knew she found him. 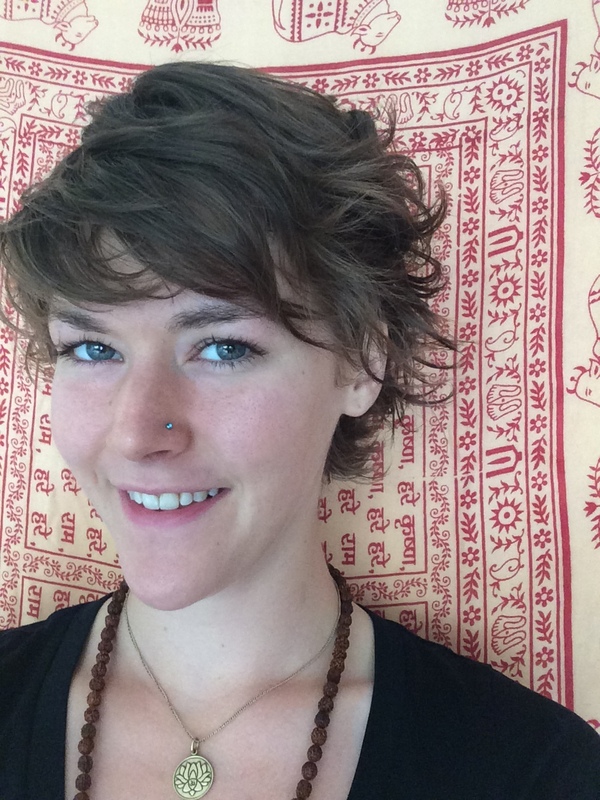 Saraswati owns Dharma Yoga Syracuse and continues to spread her guru’s teachings and host him for workshops annually, so her students can learn directly from the source. It was around 2004 when she’d heard of Sri Dharma through an article in a magazine but that was before the easy use of the Internet and she had a hard time finding a way to study with him. The next year she was volunteering at a yoga conference in New York City and recognized Sri Dharma’s name as one of the teachers there. It was for a spiritual purification class. This was around the time Sri Dharma’s 908 Asana Poster was having a surge of popularity in the yoga world. It wasn’t long before Saraswati found herself at Sri Dharma’s New York center practicing and going through teacher training with her guru. She loves how in tune with the students Sri Dharma is. She recalled the days when he would add some jumping jacks to the practice. “If you’re out of breath, you’re eating too many sweets,” Saraswati recalled Dharmaji saying while looking at her. Saraswati laughed, knowing she had a battle with her sweet tooth then. Saraswati has been a mentor for Dharma Yoga teacher trainings since 2009 and though she lives in Syracuse, she is able to be in Sri Dharma’s presence often, whether it be taking his classes or being blessed to assist him. Though she owned a yoga studio since 2003, it officially changed its name to Dharma Yoga Syracuse about two years ago. It was just a name change, she said, because ever since she started teaching Dharma Yoga, that’s the knowledge she’s been passing on to her students anyway. She’s amazed that he has this poster of breathtaking postures, but continually says, one only needs to practice a few asanas to remain healthy and the rest of the time should be devoted to spiritual practice and cultivating compassion towards all beings. My self-practice of yoga began in a small village made up of five families, tucked away in the historic Basque valley of Northern Spain. Using B.K.S. 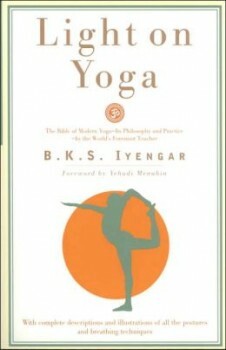 Iyengar’s book Light on Yoga as a guide, I rolled out my mat each day and practiced yoga. The room I stayed in had a beautiful bareness, located in a mere corner space of an old adobe building, with gorgeous blue frame windows that let in the light. Before practice each day I swept the floor which collected dust quickly. It was in this room that I developed the confidence to practice on my own. Studying Light on Yoga played an important role in my development as a yogi. The text begins simply with “What is Yoga?” As a recent college graduate who spent four years earning a bachelor’s of fine art in sculpture, this was the perfect introduction for me. I had decided to change hats from learning and expressing myself through three-dimensional art to using my skills as a maker and give back more significantly to the world. I turned to small-scale organic farming, a respectable way of life that brings nourishment to the people. This journey of giving back and serving others led me to work on many parts of my being. I had been traveling and volunteering on small family farms for a year when I arrived in that tiny town of Spain. I read through Iyengar’s opening words in Light on Yoga multiple times. I appreciated his straightforward writing which clearly illustrates the techniques, history, and path of yoga. If it were not for his book, it may have been some time before I attempted to study the sacred science of yoga. Iyengar’s descriptive photographs were helpful to a beginner without a guru to learn from in person. He provides a thorough text describing the philosophy and practice of yoga that gives his readers a clear understanding well beyond a beginner level. 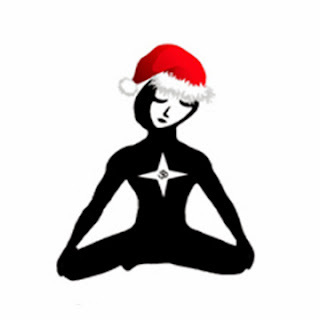 I immediately began applying the Yamas (restraints) and Niyamas (observances) on and off the mat. These codes of conduct helped me to realize yoga was not just done on a mat or cushion, but rather the practice was with me always. With the book as my guide and my inner being as my greatest teacher, I practiced confidently on my own. Abhaya (non-fear) was a constant in my mind. I released any fear towards the practice of yoga. Instead I embraced it with the entirety of my being and learned to stay in the moment. Doing so helped me to consider the effects of my difficult childhood as cause for some of my personal traits as an adult. Once I learned to dislike only the actions done by persons of my life, rather than the persons themselves, I became free of ill feelings and full of forgiveness. Iyengar’s fourfold remedy to overcome common obstacles, which were drawn from the Yoga Sutras of Patanjali, were also at the forefront of my thoughts. Maitri (friendliness) taught me to connect more easily with new people I met when I traveled. Karuna (compassion) was the backbone of my decision to work only for room and board on each small family farm as most farmers have very little money. Mudita (delight) enveloped me as I admired each farmer for their talents and the beautiful bounties they produced for their communities. Upeksa (disregard) helped me through challenges with other persons, reminding me to first look within myself. Light on Yoga is a sacred book in my collection. Though I do not practice a classical Iyengar style of yoga today, I believe this book helped me develop a strong foundation for my practice. Learning to manage fiery dedication, honoring the light within, and being light at heart takes courage. Today I have that courage and I look forward to sharing it with others within the Dharma Yoga community and beyond. 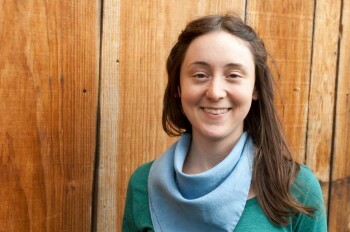 Jessica Dodd is a craftswoman living in the mountains of Western North Carolina. 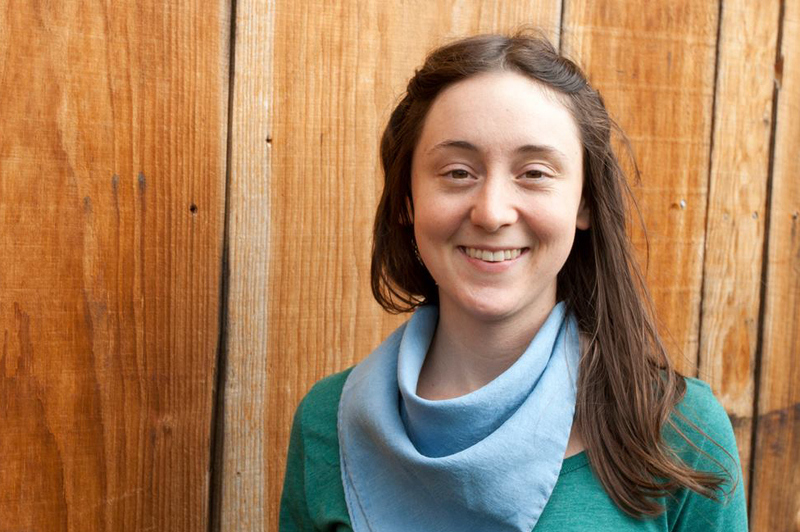 She founded and runs a sustainable textile business that focuses on organic linens naturally dyed with plants. Her yoga practice is present in all threads of her life. She enjoys living a simple homestead lifestyle, getting her hands dirty tending the soils, and preparing meals for others. 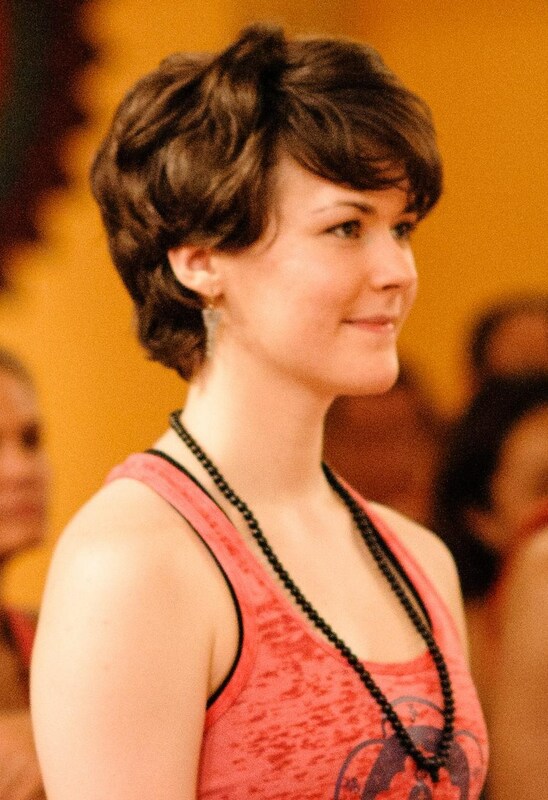 She participated in the Dharma Yoga LOAY Teacher Training in February 2014. There are a lot of different interpretations of what Karma Yoga (Selfless Service) is and how it fits into a budding yogi’s practice. 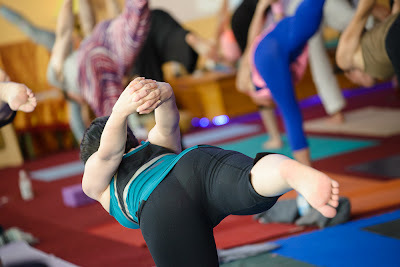 For me, Karma Yoga is where my entire practice comes together—all the limbs of yoga, the relinquishing of the ego, not being attached to the fruits of one’s labor, actions as offerings to the Divine—Karma Yoga is where my practice meets the real world. I’m given to the concept of Karma Yoga naturally. As someone who has fought depression and anxiety for much of her life B.Y. (before yoga,) I learned that the best antidote for sadness is doing something for someone else –-to turn the focus outward. Last year, in response to the almost crippling grief I felt after the mass murder of school children in Connecticut, I implemented a systematic campaign aimed at sowing little seeds of love in the world. I started by buying the next person behind me a hot tea in the tea shop, or coffee at the deli. A few times, I bought the next person behind me some soup at the local bakery. The effort seems to have blossomed from there, and has ended up genuinely changing my life over the past year. Because what I’ve found is that the impulse to give people stuff is matched by the impulse to just…well, GIVE in general. So I rush to hold the door open for people or I let people out in traffic. I help people carry their packages to their cars. I just try to adopt an attitude of service, offering whatever is needed in the moment to whomever I encounter. The interesting thing about Karma Yoga is that it gives back to you exponentially. I really didn’t expect that. I didn’t expect these small acts of devotion to change the way I viewed the world, but that’s what happened. I find that the more I look for ways in which to give to others, the more I genuinely SEE the people around me. And when I’m genuinely noticing them and their struggles, it’s so easy to tap into a vast compassion for them. That compassion, in turn, begins to translate into everything I see around me—animals, insects, this planet. This year, if you aren’t already doing it, try this: in the midst of all the holiday chaos and demands on your time, do one small kind thing. Just one tiny thing—open the door for someone, or buy a cup of tea for someone who looks like he or she needs it. Take some hot chocolate to the crosswalk guard you pass every day. Surprise your mail carrier with some hand warmers. Just one small thing that shows someone that you’ve noticed him or her. Sometimes, just being seen is enough to begin a ripple of kindness. Barb Cooper, 48, is a mother, a well-socialized introvert, a Texas-to-New York-to-Texas transplant, and a writer by nature and training. She considers herself a grateful observer, a recovering perfectionist, and no longer shy. Barb graduated from the Dharma Yoga Life of a Yogi Teacher Training in June 2013 and teaches yoga at Rasna Yoga in Austin, Texas. Read more of her musings at sothethingisblog.blogspot.com. Recently, upon borrowing mats from a yoga center for a workshop, I reflected on new connections and coincidences since moving to Toronto, Canada, and teaching yoga. I thought about my growing social circle and sharing yoga with them; the yoga center I borrowed mats from; the workshop venue which was rented inexpensively to me by friends of friends (whom I had taught at home); and that all these new contacts kept me in the loop of any new jobs and opportunities and promoted my teaching. All of this started with my eagerness to share yoga and my belief in karma yoga (selfless service). Acts of selfless service are free from the idea of receiving something in return and instead focus on the act of giving and surrender. Selfless service will always be a part of my teaching. The wonderful surprise is that for all I give, positive returns come back to me. One of my students has chronic Lyme disease. I too had Lyme disease for several years and know firsthand that yoga helps. When I met his partner and heard of his situation, I immediately offered to teach them both. They were reluctant at first because they could not pay but they were willing and wanted to barter. In exchange, I receive muffins, preserves, and other small treats every week when I come to teach. But the real payoff and is seeing a friend recovering from a lengthy illness and there is no amount of money that can match this true reward. For many of us, yoga is sometimes our sole profession and teaching classes for free is not feasible. However, a few karma yoga classes go a long way in helping people that cannot afford to attend but will reap the benefits of yoga. Students, the elderly, even the unemployed with limited or no income, would greatly appreciate this and many are willing to pay in their own way by service or gifts in kind. Know the limits to what you can give and then give as much as you can. As lovers of yoga, we sometimes forget that yoga can be overwhelming for some people. For example, my neighbor had difficulty with her breathing and I offered to teach her yoga. She was keen to learn breathing exercises but due to her age and inexperience, was not interested in the physical practice. While I knew that she would benefit from the physical exercises, I decided not to push it and I only taught her some simple pranayama exercises. She found relief from the exercises and continued to talk about how beneficial it for months afterwards. People are very curious about yoga teachers and I often find myself answering questions and sharing what I know. It can be overwhelming when you are in the midst of something or in a hurry! So when I find myself becoming anxious or glancing at my watch during these situations, I try to remember to slow down and to share what I was so lucky to learn. My first connection to potential students was made through volunteering. I helped out twice a week at an urban farm for some time and it was fantastic to help nurture plants and assist busy farmers. A number of wonderful connections developed from this time and it all began with selfless service. Selfless service may sometimes seem like a tall order but really it’s not! We don’t have to make huge sacrifices to include it in our day. Small opportunities occur around us all the time, but the first step is to slow down. Do you need to be the first person on the grocery line? Can you hold the door for the people coming in? Would you pick up your partners clothes if it was left on the floor? I believe the key to Karma Yoga is to remember Ahimsa (compassion or non-violence) and to think, what are the loving acts I can do today? 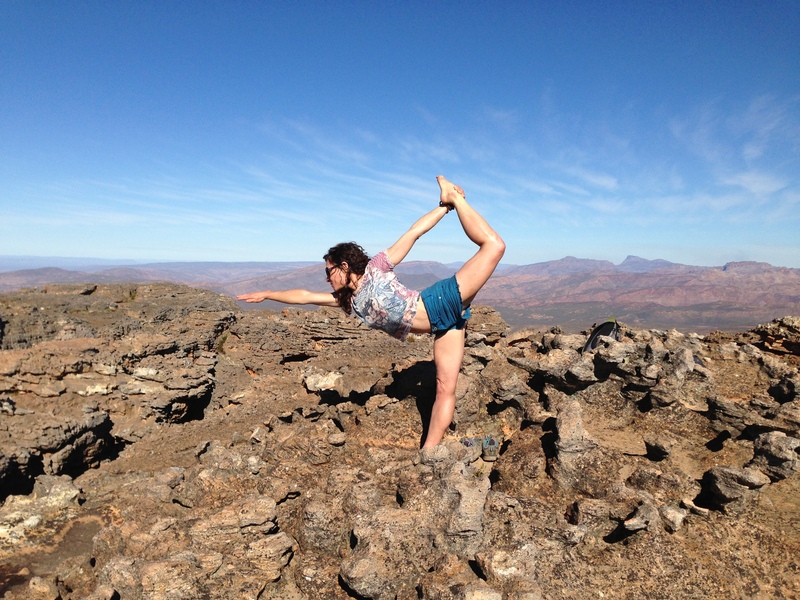 Jessica Gale has practiced yoga for nine years and studied Ashtanga, Kripalu and Dharma Yoga during this time. 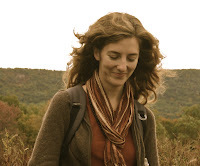 She spent the last three years studying intensely at CNY Yoga (Dharma Yoga) in Syracuse, New York and completed her LOAY 200-Hour Teacher Training at the Dharma Yoga New York Center in May 2012. She is currently completing her internship hours and hopes to achieve full certification soon. Jessica lives in Toronto, Canada. Sitting behind a dumpster as a homeless woman is where I first experienced the self-less nature of Karma yoga. The LOAY Teacher Training with Sri Dharma Mittra gave a name to the moment that forever changed my life. Karma yoga is often defined as being a “tool of the Divine.” There was no hope in my life that day as I sat in that alley and the woman– who I have never seen again and who wanted nothing in return– assisted in shifting the course of my hopeless life. She was on her way to work when our paths crossed. She was getting gas and I was standing there begging for change. A few people tossed dimes and pennies my way, which ultimately led to a can of beer. More than a decade ago, it would be my last drink, thanks to a woman who allowed herself to be used by the force that holds this world in place. Instead of getting in her car and heading to the responsibilities of her day, she turned around and asked me if I needed help. She took me to safety and, as they say, the rest is history. Today, as I speak to audiences around the world, I’m often asked her name. I never got her name, but I will never forget her spirit. Her soul touched mine, and, as a yogi, I try on a daily basis to let my actions in some way demonstrate the self-less love I experienced that fateful day. Thank you, Sri Dharma Mittra, for introducing me to the appropriate meaning of such a beautiful term: Karma Yoga. For years, Elle Swan wanted to die and couldn’t. Her darkest days left her addicted to drugs and alcohol, 67 pounds overweight, penniless and living on the streets of California. On May 29th 2000, during an overdose in an abandoned van, her misery merged with death and Elle suddenly crossed over. “But, when your soul knows you belong here,” she says, “it won’t let you go.” Her miraculous journey from deprivation and despair, to a life filled with inner peace is a miracle, and she truly believes she was given a second chance. Her dramatic personal transformation unfolded into quest for knowledge in Neuro-Linguistic Programming, Yoga, Nutrition, and Hypnosis. The synthesis of these modalities combined with her near death experience shapes her uncanny ability to pin point lasting solutions to teach others how to make a comeback in their own lives. 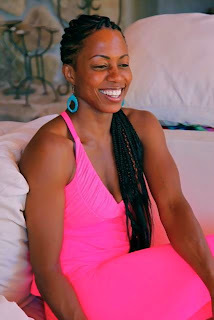 Today Elle Swan is a Life Coach and speaks all over the world. Her story and strategies have been featured on TV and in The Wall Street Journal. Elle attended the Dharma Yoga LOAY Teacher Training Program in 2011 and is in the process of becoming a certified Dharma Yoga Teacher.